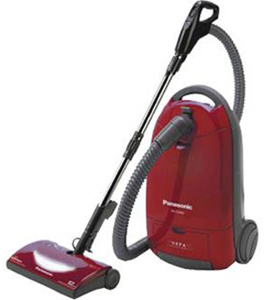 Since 1953, Vacuum Cleaner Center has been the premier vacuum cleaner shop in Honolulu, HI, offering a wide variety of vacuum cleaners and accessories at prices you can afford. We also provide repair services for many of the most trusted brands in the business. The right vacuum cleaner can make cleaning your home or office a simpler, quicker and more enjoyable process. The wrong one, however, can turn a single chore into a frustrating, fruitless task. There are plenty of vacuum stores in Honolulu, HI that just care about selling vacuums, whether they’re the right ones or not. But at Vacuum Cleaner Center, we’ve been putting time and consideration into our vacuum sales for over 60 years, and we’ll bring that same approach to you when you walk through our doors. We are a proud family owned and operated local business. Our team has over 60 years of experience in selling and repairing vacuums. We carry a wide variety of the best brands in the industry. Our sales and repair team is knowledgeable and friendly. Our prices are always reasonable and competitive. Check out our article in Honolulu Magazine! "I have no clue why potential buyers wanting the highest quality product, service, and price point shop anywhere else. " "Best vacuum I owned in 40 years "
"I take all my vacuums for repair to the vacuum cleaner center for the past 15 years. They do a great job and are priced reasonable. " For over 60 years, Vacuum Cleaner Center has been providing Honolulu residents with quality service and excellent products.